Utilities Kingston provides customer-focused and cost-effective multi-utility services in Kingston, Ontario, including safe and reliable wastewater services to nearly 37,000 homes and businesses, while minimizing impact on the environment. The unique structure of Utilities Kingston allows it to benefit from state-of-the-art technology and specialized staff that would not be available to each utility, were it to stand alone. The team draws on its cross-functional expertise to develop skill sets and deliver efficient utility services. Employees share knowledge to help ensure the reliability of infrastructure for its customers. For example, if there’s an electric problem at a wastewater treatment facility, employees combine their multi-utility expertise to troubleshoot the control logic and get the equipment up and running more quickly. Customer convenience benefits include one combined bill for multiple services, and one appointment to receive locates for multiple utility services when planning to dig. Utilities Kingston is warning customers to beware of callers pretending to be from Utilities Kingston and demanding immediate payment for utilities. This is a scam. There is so much to remember when moving in or out. Utilities Kingston wants to make your move as simple as possible. Open or close an account with us online at your convenience, any time, any day. Our online self-service form works nicely from a mobile device as well. April is Dig Safe Month: call before you dig! April 1 marks the official start of Dig Safe Month. Any time you plan to dig on or near your property, contact Ontario One Call first. Even if you’re just digging with a shovel, be sure to get a free locate in advance. As a Utilities Kingston water heater rental customer, when you call for rentals and services, you’ll talk to one of our locally-based service advisors. 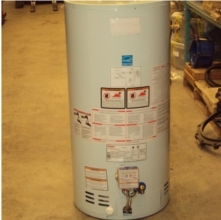 They’ll provide honest, expert advice to help choose the right water heater for your home. No hidden fees or obligations. Our map provides information about capital works construction in your neighbourhood. You can filter by utility or year. View the map filtered to wastewater projects here. We report annually to the Ministry of Energy on energy use and greenhouse gas emissions, and publish the reports on our website.